Edinburgh will probably need to win all five of their remaining Pro12 matches to secure a play-off place, claims loosehead prop Alasdair Dickinson. The Murrayfield side are seventh in the table and face a difficult run-in as they seek a top-four finish. "We have five huge games coming up and I think we need to win all of them if we want a shout of the play-offs or even the top six," said Dickinson, 32. "It's really tight in the middle of the table." 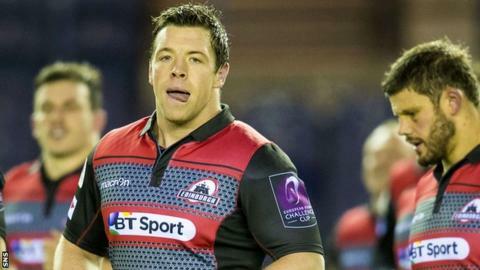 Dickinson, with Willem Nel and Ross Ford part of an all-Edinburgh first-choice Scotland front row, has returned from international duty for the run-in. The immediate target is a win in Wales on Sunday against Newport Gwent Dragons before a home match against second-bottom Zebre five days later. 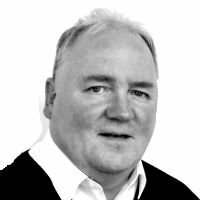 Away games against Leinster and Munster follow before a Murrayfield date against Cardiff Blues. "We have to think about winning every game, that's what we have to target, starting with Dragons away which is always a brutal encounter," continued the former Gloucester prop. "It's a real tough run-in. We just have to take each game as it comes. We have a tough turnaround Sunday to Friday." Asked to pinpoint what has led to Alan Solomons' men losing five of their last six matches in all competitions, he replied: "It's hard to know exactly what's gone wrong. "We have let ourselves down with errors, a couple of soft tries at times, which have killed us. "Sometimes these breaks between the Six Nations (games) don't help, you lose a bit of momentum, but this morning we had a good session so we are looking at things we need to improve on, just little things. "The guys who haven't been away with the national squad are good enough to win these games. "It's just touching up on our detail and being clinical and finishing the opportunities that we get and in the last few games we just haven't managed to do that."